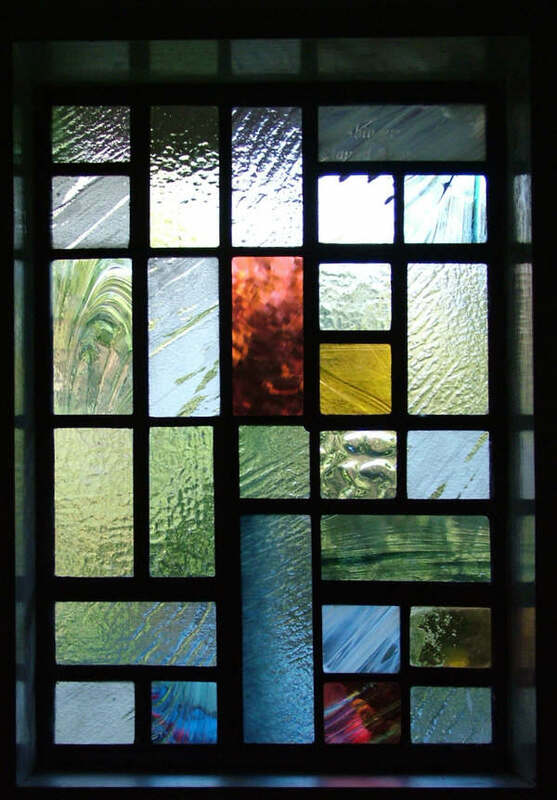 My customers love the Church of the Good Shepherd stained glass windows which I created in 2000 and wanted to create a similar look for their hall. 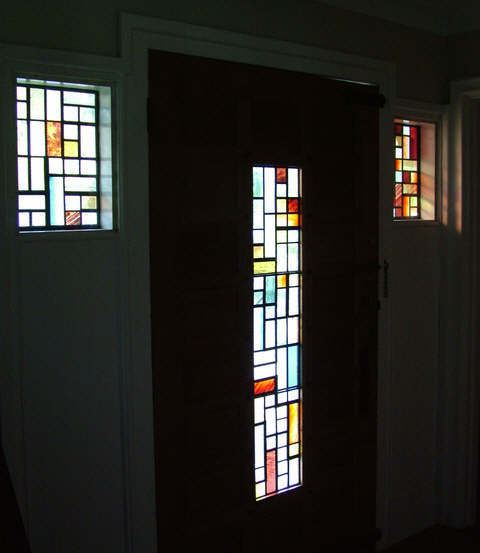 Contemporary and bright in style these stained glass windows were a joy to make. I love designing within a patchwork (you may have noticed!) and when my clients said this is what they wanted me to do I was thrilled. The scheme starts off with quiet colours and tones in the left hand panel and moves through to the bright rubies, through the door panel and into the panel on the right. The two smaller stained glass windows are encapsulated into sealed units. I have acid etched and silver stained the glass in areas and some pieces I have kiln formed myself with both colour and texture. 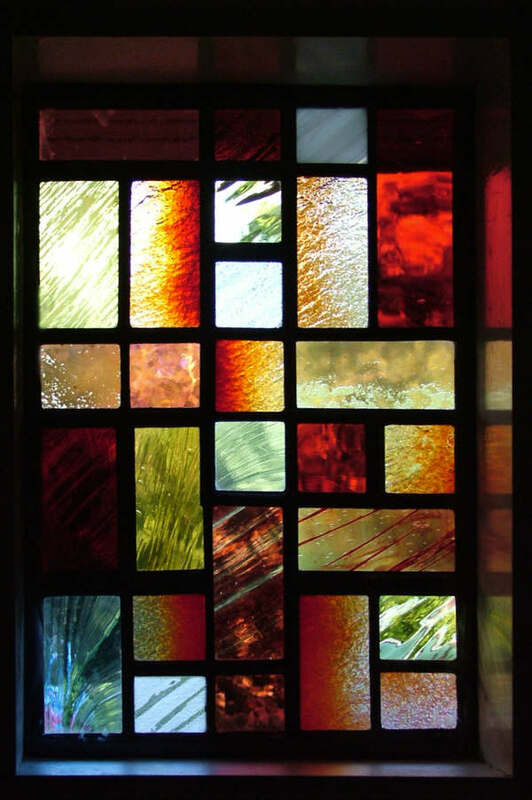 The whole window has so much colour, movement and vibrancy in that there is something to see at every time of day.